“The President’s responses to civil society are that the Ministry of Home Affairs will be supported with resources to issue birth and death certificates to Gukurahundi victims in affected areas,” reads part of the MC minutes of the meeting. 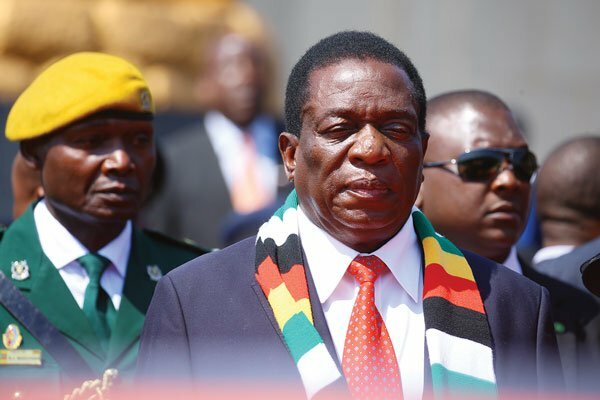 Government’s failure to address the Gukurahundi issue, devolution and national healing were topical during the CSO’s engagement with Mnangagwa — a first of its kind. A survey once conducted by Women in Leadership Development (WILD), Emthonjeni Women’s Forum, Basilizwi, Lupane Women’s Development Trust and Inkanyezi Development Trust, among other regional CSOs, revealed that nearly 40% of children in Matabeleland North, Matabeleland South and Bulawayo do not have birth certificates. The British engineered Gukurahundi Massacres: Brian Sheriff Forgive me for my pain but I am 100% certain that anybody who witnessed the killings like I did will never forgive you for publishing this report. To begin with the very head of the report – Bishop Callan, led the police to my house and ordered them to destroy it. He did not shy away from telling my screaming mother that god did not make for inter-racial marriages. The crime was so shocking that Doctor Mazorodze who came to our rescue entered the struggle that day for black freedom from Rhodesia. The catholic commission has simply been used to publish a report that in most cases bares little resemblance to what transpired in Zimbabwe. To begin with the killings began in Chitungwiza and Seke in September 1980. I am sure you have no knowledge of this. There were two ZAPU/ZANU army integration camps. And one afternoon without warning – David Madondo (ex-Dynamos) and I barely escaped with our lives – when ZAPU began to toss hand grenades at the ZANU men. 3 men died instantly and a number suffered serious wounds. The grenades had been given to ZAPU by British men in uniform. The attacks took place again the next day – a few minutes after 12:30 like the day before. This time pistols were also used. And all the men in the camps were supposed to be unarmed. For the next two months Seke was a daily killing ground! And nobody in the so-called independent press has ever mentioned this fact of our history. For me a teenage youth officer with the Mashonland Provincial Authority (headed by Ernest Tsomondo, later Secretary of Home Affairs) the experience was unforgetable. Somebody was assisting and controlling ZAPU in its massacre of unarmed ZANU fighters. And what you conveniently seem to forget is that the two camps were specifically for selecting the men who would form the 5th Brigade. BOTH ZAPU AND ZANU made up the 5th Brigade, Are you aware of this fact? The men were taken to Nyanga for training. And they were not trained by North Korea. Let me explain. They were trained by British and Australian instructors. Please read on and I’ll enlighten you. By March 1981 I had entered the Support Unit as a runner together with Tap Jonga. While I was at Morris Depot for training in winter of 1981 a white army captain ( who had just resigned and received his full pension) planted timed explosives in the Inkomo Garrison bomb dump causing massive destruction and casualties… South Africa gave him full citizenship and honor. In October 1981 I moved to Chikurubi just about the time Joshua Nkomo’s Nijo Tomato Farm in Borrowdale was reported to have been digging deep holes in the tomato greenhouses. The local police went to check and were shot at. Support Unit went to investigate and discovered tons of weapons buried in the tomato beds. Nkomo claimed it was some renegade ZAPU youth fighters. Mugabe was depressed. I mean depressed. He couldn’t understand how ZAPU had been able to carry all the weapons out of the British controlled armories. The CIO which was still controlled by the same Rhodesian men went to interview the top two ZAPU men – Masuku and Moyo. They responded in the same manner Nkomo did. By now the security people were starting to suspect that ZAPU may have been behind the disappearance of the six British truck touring men who had not been seen since 1980 (in Nakai area). The head of Support Unit (Ian Hogg) instructed his men to check all ZAPU farms in Mashonaland. ZAPU cried foul. The international press called Mugabe a paranoid man. But a few days later the press fell silent when tons of weapons were dug out of the ZAPU farm in Karoi. Britain convenietly shut its mouth. And why do you think the farm checks were ordered in the first place? This is the sin of you anti-Mugabe journalists. Kenneth Kaunda asked Mugabe what he should do with ZAPU’s fighter jets in Zambia. Mugabe was levid! ZAPU had never declared owning jets during all talks at Lancaster House. And Tiny Rowland (head of LonRho) who was paying for anti-Mugabe press reports tried to playdown Nkomo’s knowledge of the fighters. But Mugabe had had enough. He publicly called for anymore hidden ZAPU facts to be released. Meals were delivered by a police officer from Goromonzi. This may explain why Lookout Masuku went on to serve the country. My job was to take care of children who had been returned from Mozambique in 1980. They were in camps in Mtoko, Mrewa, Musami… so I had very personal contact with the reintergration process of war afflicted – including those in Matabeleland (which was controlled by another provincial authority). The press is totally forgetting the first two years of our independence. It wasn’t a happy experience. In late 1981 ZAPU hit ZANU in full and unexpected force. CONEMARA MINE army intergration camp across from HUNTER’S ROAD KweKwe. Again another personal nightmare. Tap Jonga, Farai Kamucheka, Sabvelo Ncube, myself and a few other Support Unit athletics team members were returning from Shurugwi on a Sunday evening when we suddenly came across a road full of blood covered men. They were all over the road, walking as if in a drugged stupor… heading towards KweKwe. They were only a kilometre from Connemara Mine. They were just shocking! “They’re butchering us…” is all they could say. The British are giving ZAPU weapons somebody said. It was the same thing as I’d seen in Seke a year before. And this time the old Rhodesian forces (who made up the Zimbabwean Army) took note. Support Unit were first to react. Heading to Connemara in thee middle of thee night only to fight ZAPU had all been taken away in vehicles of some kind by unknown people. A few thosuand ZAPU had simply vanished. Three days later the same thing happened in the Entumbane camp (a camp similar to the Seke camp in terms of being located in the middle of a residential area). Support Unit sent troops. There was an intensive killing spree by ZAPU. And by now the foreign press were in a state of confusion. Luveve, Mpopoma… Bhala Bhala… ZAPU were mass murdering unarmed ZANU and doing it while they slept. Mugabe called for Nkomo to explain. Assuming that the massacres were over since all the ZAPU in the camps had mysteriously crossed into Transvaal Support Unit returned most of the troops to regular patrols only to have in late 1981 ZAPU 5th Brigade members murdered their ZANU colleagues in their sleep. And this time Support Unit believed ZAPU had no way of escaping from so far into Manicaland. But we were wrong. South African helicpoters flew them into Mozambique. Those that weren’t involved in the killings and stayed behind were discharged from the 5th Brigade. And strangely no ZImbabwean media representative talks about this fact. The fact that Gukurahundi is called the mass killing of innocent people in Matabeleland is a deliberate misrepresentation of Zimbabwe’s history. For one year at least after the massacres the 5th Brigade simply trained in Nyanga. And a big war was being waged in the south west of Zimbabwe. Check your archives! The international community called Mugabe a liar for reporting that South Africa was sending thousands of ZAPU fighters to wage war with ZImbabwe. The first incident happened when Support Unit’s Juliet Troop ran into a group of about 50 armed fighters in Mwenezi. 27 fighters were killed. And a fifteen year old boy fighter had his arm shot off. He was the only one captured. Mugabe had a press conference to expose the fact to the world press but it was simply ignored. The media seemed to know what it was doing. The cross border infiltrators started to enter from Botswana too. Support Unit and 4 Battalion began to have daily contacts. Regardless of how ZAPU fighters got killed the British simply published utter lies that no such fighting was going on in ZImbabwe. And this is were your catholic commission report fits in. In 1983 (?) the infiltrators started to include whites in heavy black facial camoflouge. The press called the Zimbabwean reports nonsense. But then the 4th Bat. killed John Wessels and five other white Rhodesians in full black face paint. They’d crossed the border from Kruger National Park. Mugabe called the press to view the bloated bodies. Instead of coming forward the press called Mugabe a savage. Embakwe areas. Anybody that spoke Shona was killed in a brutal way. Entire farm work forces were thrown into wells – and Support Unit Sub-aqua team was tasked with recovering the bodies. In one day we stopped at 65 bodies out of a well in the Gwanda district. We had hundreds of bodies in water filled mineshafts in the Collen Bawn and Antelope Mine areas… white farmers, missionaries, police station crews were butchered in broad daylight. In the Lupane and Nakai districts the killings were horrendous! The Shangani, Turk Mine, For Rixon, Nyamandlovu areas were certain death zones. We had Support Unit details on every farm. And to make matters worse the very people who were called victims of Gukurahundi by the catholic commission were the very people killed by ZAPU fighters. I recall the murder of Dr. Peter Gradwell, his 15 year old niece and her 9 year old friend in Plumtree in 1983… shot dead while checking the cows by ZAPU fighters. Dr. Gradwell was the chief architect of the Rhodesian theory on black inferiority – a theory used by the US and Britain to abuse Zimbabwe today. During all these killings the international press refused to acknowledge one bit the fact that South Africa was waging a severe war with Zimbabwe through ZAPU and Rhodesians. The military response to the ZAPU war was not and never called GUKURAHUNDI! The fact that you continue to call it such proves beyond doubt that your are totally ignorant of ZImbabwean history. In fact the 5th Brigade was geared for action along the Beira Corridor and Nyamapanda to Malawi route. If the catholic commission did any investigation it would have included the Support Unit in any charges because every operation was conducted as a joint Support Unit/5th Brigade operation. And there was always a Ndebele speaker in the group. The claims of langauge problems are total bogus! Pius Ncube should be ashamed for lying. He clearly knows that ZAPU mass murdered hundreds of ndebele accusing them of accepting the election defeat of 1980. If you’re in doubt go to north Transvaal and see how many ‘stateless’ ZAPU are still stuck there. Doctor Barson who injected SUpport Unit’s India Troop with HIV (at Maleme Dam) can be interviewed if you’re in doubt. I was almost murdered by white ZRP officers when I reported the HIV injections. Inspector Bebe of Support Unit (from my own understanding) was the first person to die of AIDS in Zimbabwe. Check with the presidents office. Nobody has ever talked about the first victim but I am sure who it was. He died in October 1985, three years after getting injected in what he and his troop had been told was a general anti-malaria vaccine (through the Danish NGO DAPP). And this explains Mugabe’s dislike for NGO’s. The history of Zimbabwe is not a guessing game. If you didn’t witness it I suggest you leave it alone.